How to Get Rid of Someone Else’s Apple ID on My iPhone? If the Apple ID on your iOS device belongs to someone else, you won’t have complete control over the device. To gain complete control, you have to get rid of the Apple ID. In this article, we will focus on providing answers to the question “how do I get rid of someone else’s Apple ID on my iPhone?”. If you purchased a secondhand device, there is a high likelihood that you may not have the device’s Apple ID password. You can still remove the Apple ID from your iDevice without the password. All you will need is a tool known as iMyFone LockWiper. iMyFone LockWiper is capable of removing Apple ID easily in just a few minutes. To use LockWiper, you won’t need any tech skills. This makes LockWiper a complete self-service program. 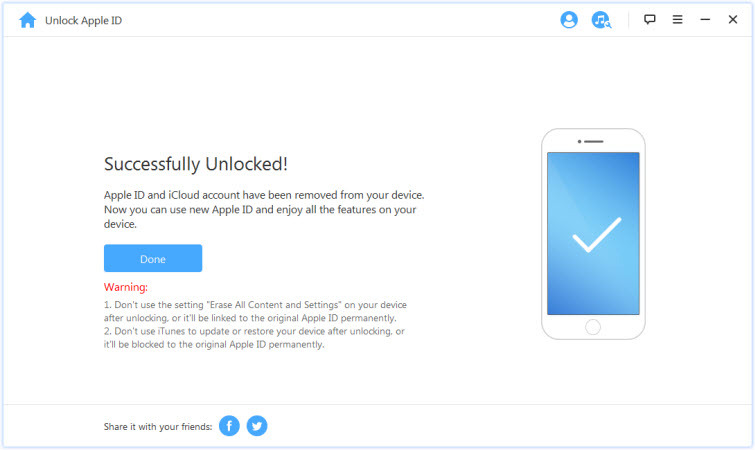 The tool lets you remove an iCloud account from any activated iOS device without a password. LockWiper will make it possible for you to switch to a different Apple ID or create a new iCloud account. After removing the Apple ID, you will have the ability to enjoy all Apple ID features and iCloud services. You can also purchase and download games and apps from the App/iTunes store. 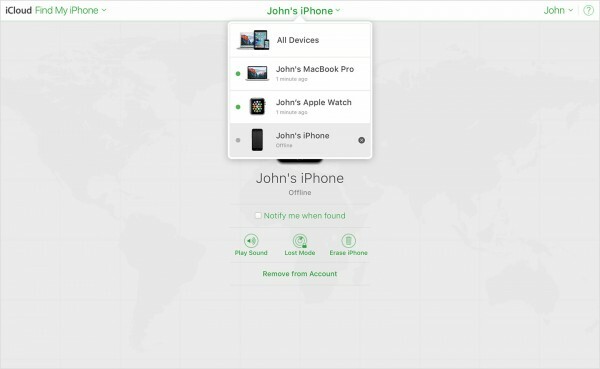 You will get to turn the Find My iPhone feature on or off quite easily. Step 1. 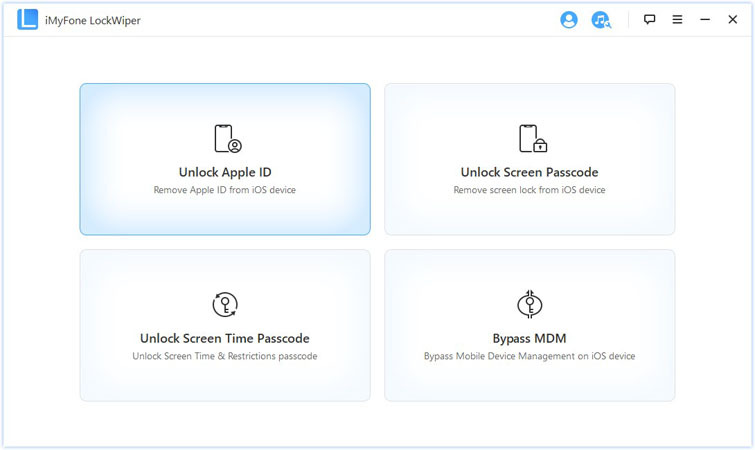 After launching LockWiper on your PC, select the “Unlock Apple ID” mode. 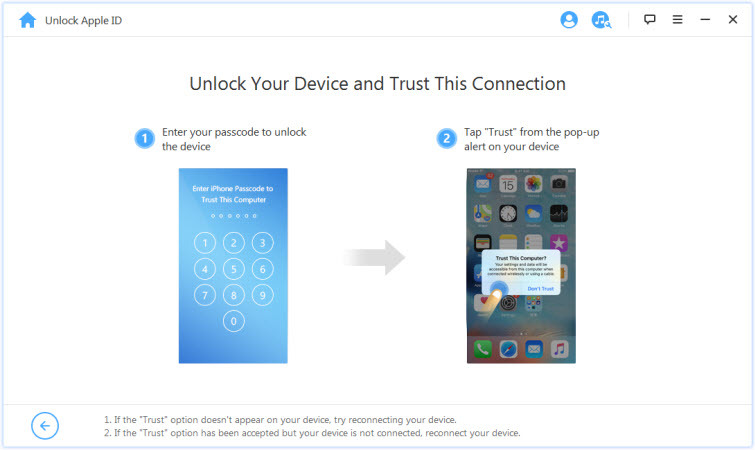 Then connect your iOS device to the computer and trust it. Step 2. Click “Trust” option on your device when prompted. Step 3. Tap “Start to Unlock”. This will initiate the Apple ID removal if the Find My iPhone feature is already disabled. 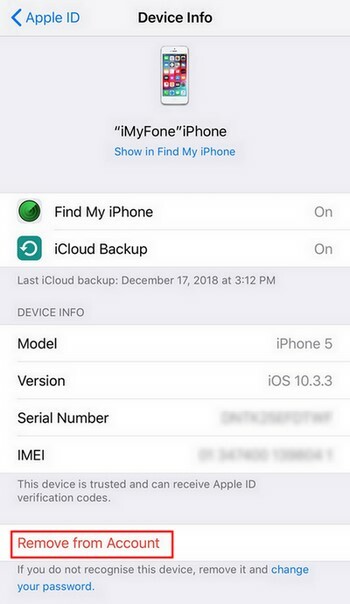 If the Find My iPhone feature is not disabled, you will need to reset all settings by going to “Settings > General > Reset All Settings”. After resetting, LockWiper should remove the Apple ID from your iPhone. Step 4. 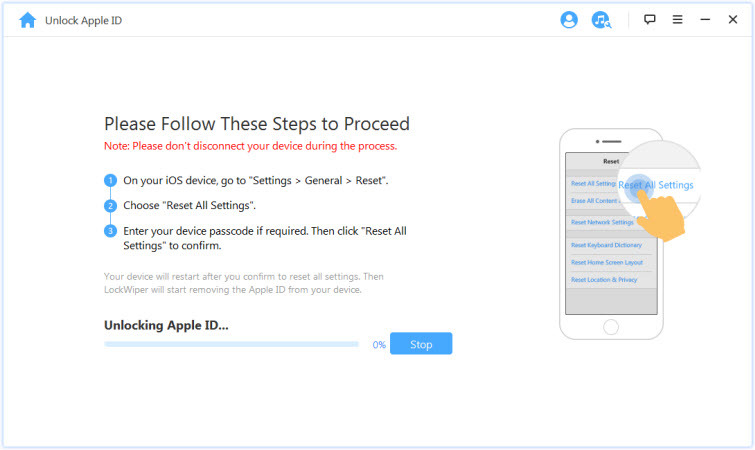 Just in a moment, the Apple ID on your device will be removed. Open iTunes on your PC or Mac. Sign in if you are not already signed in. On the menu bar, click "Account > View My Account". The menu bar should be available at the top of the iTunes window. Enter the Apple ID password and then tap the Enter or Return key on the keyboard. You can also click View Account on iTunes. In the iCloud section, scroll to iTunes. Next, tap "Manage Devices". Click "Remove" to the right of the iDevice you want to remove. On your iDevice, click "Settings > [your name] >iTunes & App Store". Next, click the Apple ID. Then scroll dowm to the bottom, it will list all devices and PCs associated with this Apple ID. Click on any device you want to remove, then tap "Remove from Account". Open Settings > iCloud and then turn off the Find my iPhone feature. Alternatively, you can reset the device to factory settings. On your computer browser, visit iCloud.com and sign in. Select Find iPhone. Then select the offline device. Finally, click "Remove from Account". If you would like to have complete control over a device that has someone else’s Apple ID, you will have to remove the Apple ID. This article shows you various solutions you can use. 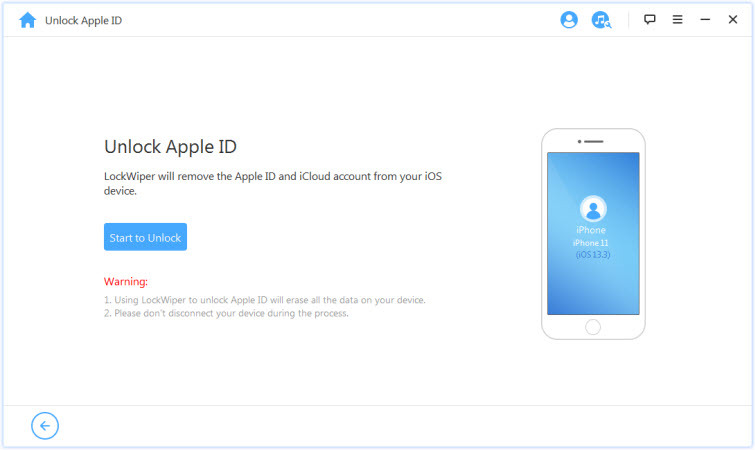 The best solution when it comes to Apple ID removal is LockWiper. The tool lets you remove the Apple ID without knowing the Apple ID password. LockWiper is extremely easy to use. You do not need any technical knowledge to use it. Download it for free now!